Fareen is sensitive to the difficult emotional issues involved in separation, gives priority to children’s well-being, and is practical in her approach. She strives to achieve results quickly and efficiently. Her effective negotiation skills and persuasive advocacy bring value to her clients as she successfully represents them both in and out of court. As a trained professional in Collaborative Family Law, Fareen is also a member of the Peel/Halton Collaborative Family Law Association. She values Collaborative Family Law for preserving the dignity of the parties and the ongoing parenting partnership. Fareen Jamal is an accredited family law mediator designated by the Ontario Association of Family Mediation (OAFM). Family mediation is the neutral facilitation of family dispute resolution. The negotiating parties enter the family mediation process voluntarily and maintain control over the agreements made. Fareen designs an enabling process to ensure the environment is a safe place to have a difficult conversation. Fareen was called to the Bar of Ontario in 2004, after obtaining her LL.B. at the London School of Economics. 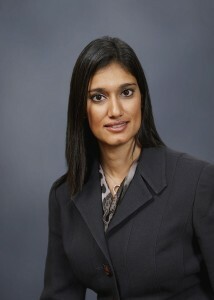 Fareen completed her LL.M., specializing in family law, in 2012, from Osgoode Hall Law School. Fareen represents children as a member of the Office of the Children’s Lawyer Panel. Fareen was the 2014 recipient of the Heather McArthur Memorial Young Lawyers Award bestowed by the Ontario Bar Association. Fareen serves as an Executive Member on the Ontario Bar Association’s Family Law Section since 2009 and is currently the Continuing Legal Education Chair and Program Development Liaison. She is a board member of the Ismaili Regional Conciliation and Arbitration Board for Ontario since July 2012. Fareen has served as a faculty member of the Family Law Institute, the Family Law Summit and the Law and Youth Seminar Series. She has been a speaker at several continuing legal education programs for family law practitioners and authored papers and published articles. Fareen is a member of The Advocates’ Society, the Family Lawyers Association, the Ontario Bar Association, the Canadian Bar Association, the American Bar Association, and the Association of Family and Conciliation Courts. Fareen was a Director for Access for Parents and Children in Ontario (APCO) for several years.